For a luxurious feel and better health for your delicate and sensitive skin. 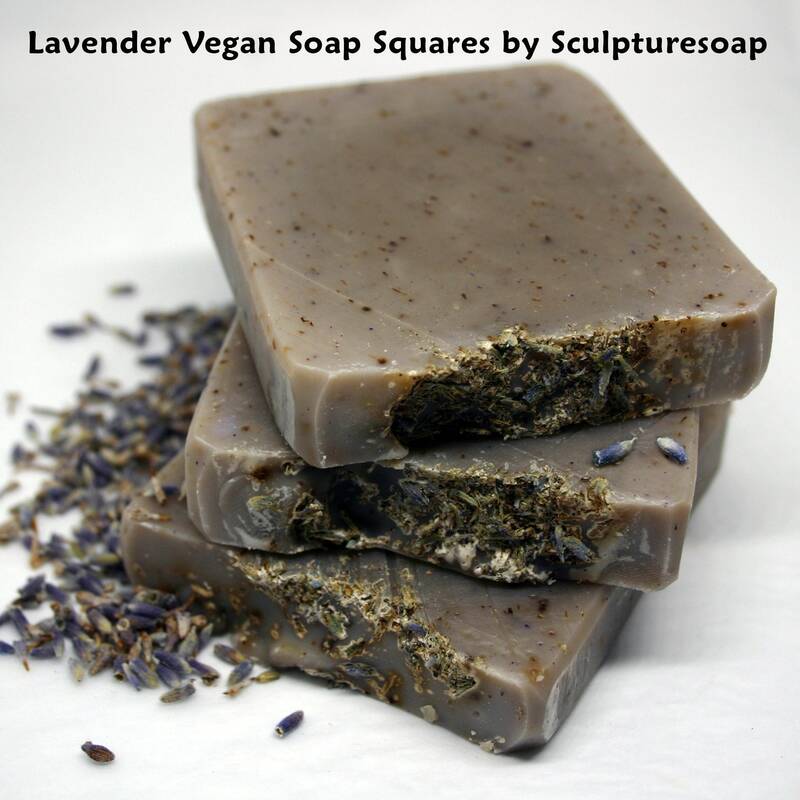 VEGAN SOAP SQUARES are handmade by combining natural oils chosen for their lathering and moisturizing properties. We proudly blend responsibly sourced organic vegetable oils. Ingredients are organic coconut oil (cold pressed unrefined), extra virgin olive oil, organic hempseed oil, purified water. 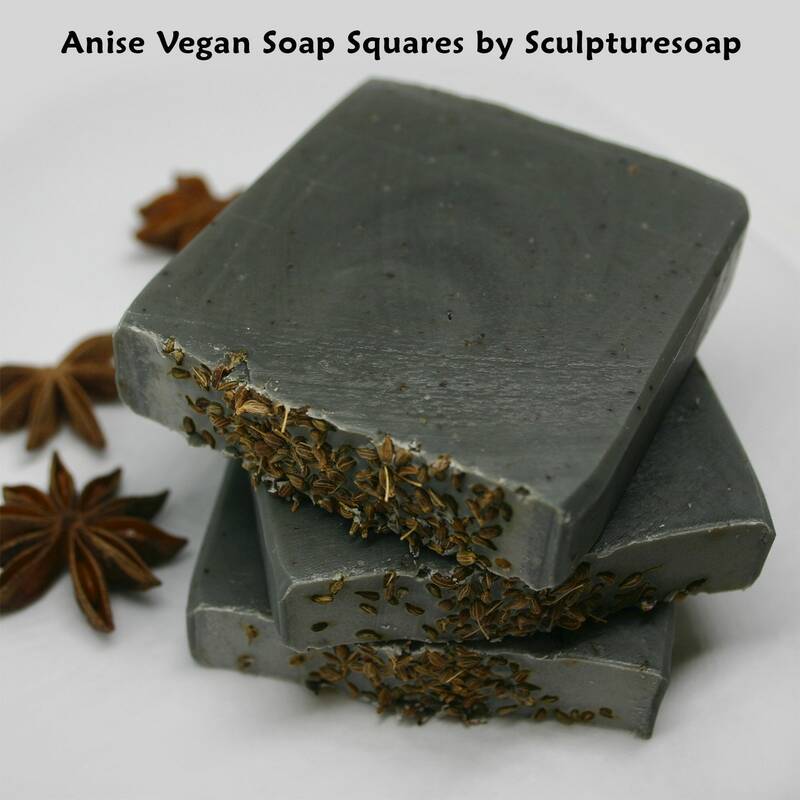 They are naturally colored with clay, charcoal, or grounded seeds and scented with high-grade essential oils. It does not contain any animal or artificially made products consisting of chemical compounds. They have no preservatives, no additives, and no synthetic colorants. 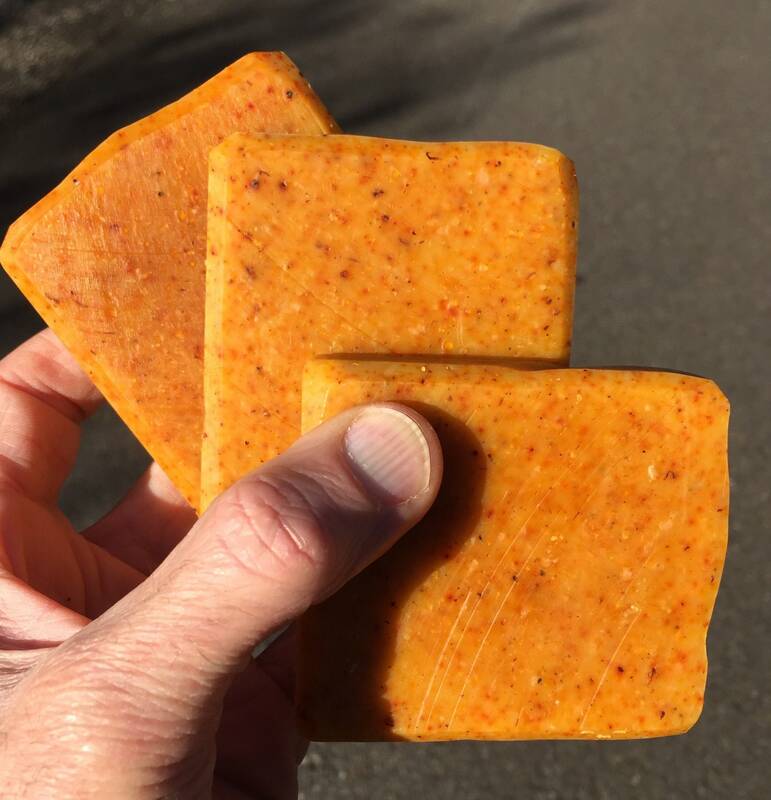 At 2.5 oz a bar and measuring 2.5" by 3," a Vegan Soap Square is ideal for traveling, camping, fishing and sleepovers. Buy them individually or in a gift box of 3 bars for storing or for giving the gift of healthier skin to friends and family.